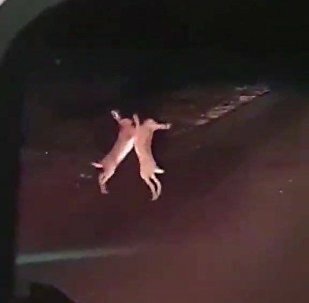 Video uploaded by YouTuber "Poke My Heart" shows three mixed breed dogs making the best of their surroundings through both teamwork and enthusiasm. 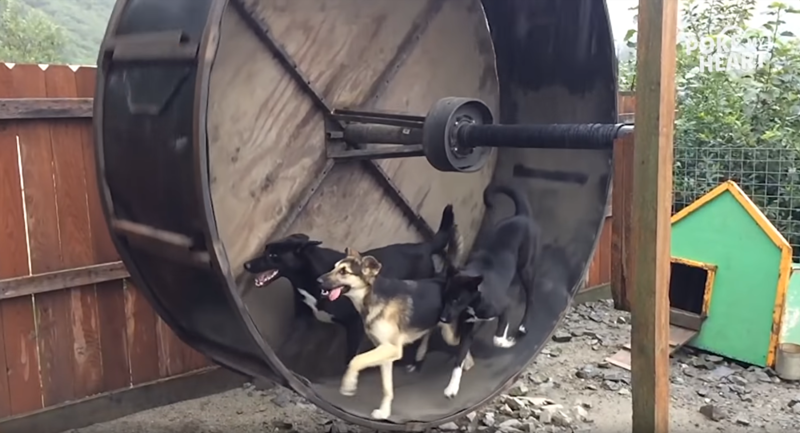 Though the footage begins with only one pup running on the wheel, it isn't long before the happy hound (without missing a beat) pauses and allows his friend to hop on. Pushing the limits of the wheel, a third, and much larger, dog leaps up inside the wheel and immediately falls in line with the other two. Don't get any ideas though, human: Walks are definitely still necessary!